Fly high. 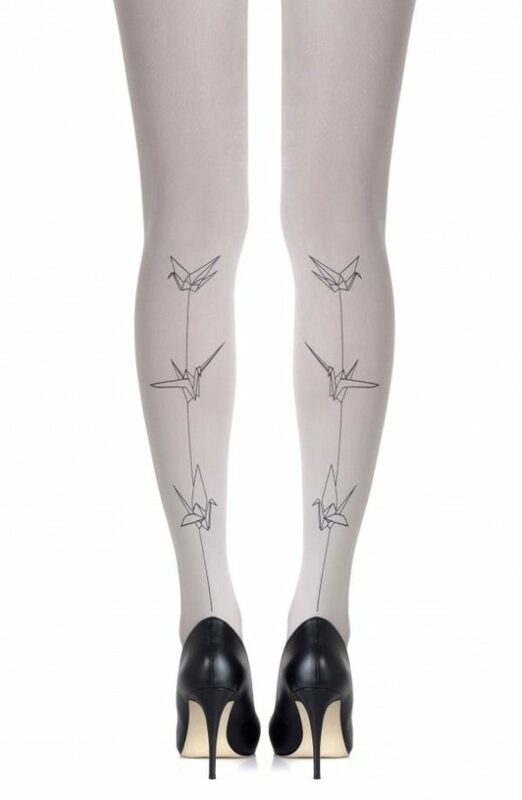 The Paper Cranes tights feature reversible origami-inspired bird graphics. 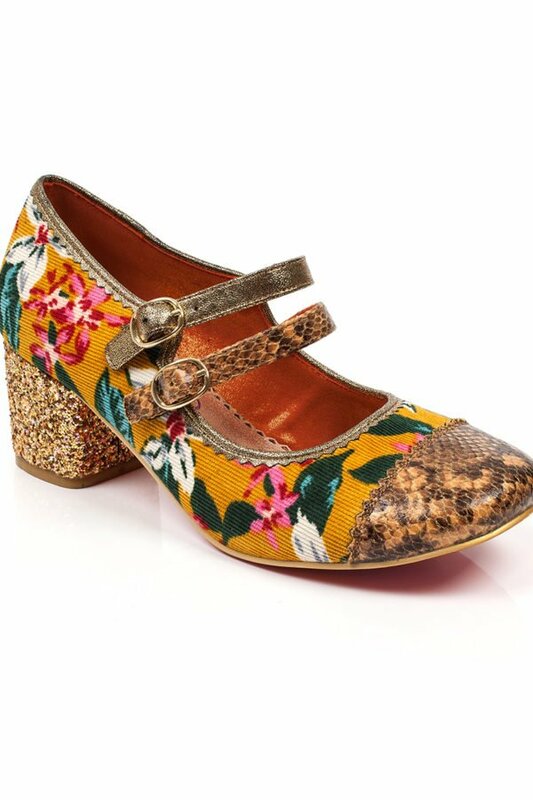 You won’t want to take these off. 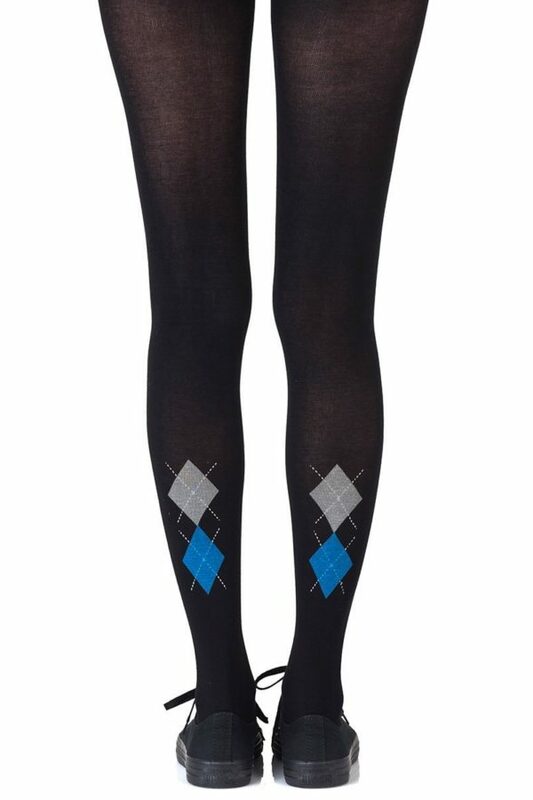 Colour: Light Grey tights with Black print. Thickness: 120 denier. 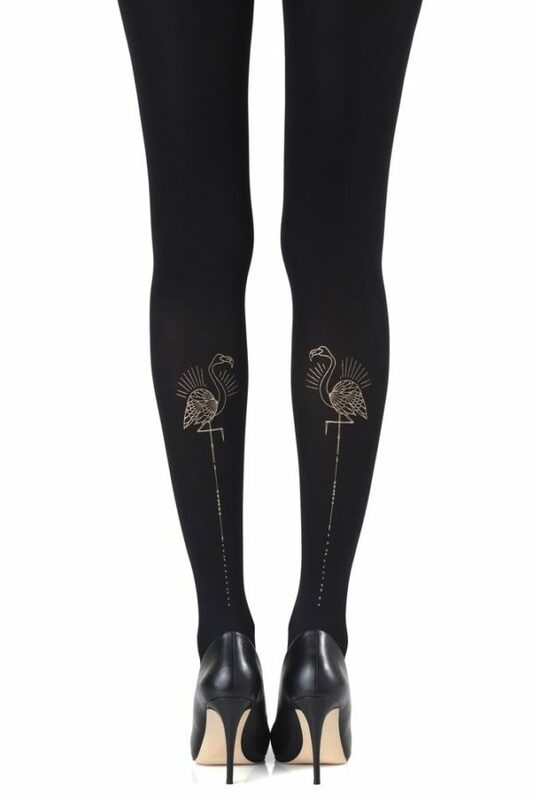 Unless they have X-ray vision, no one will be able to see through these opaque tights. Is the party in the front or the back? 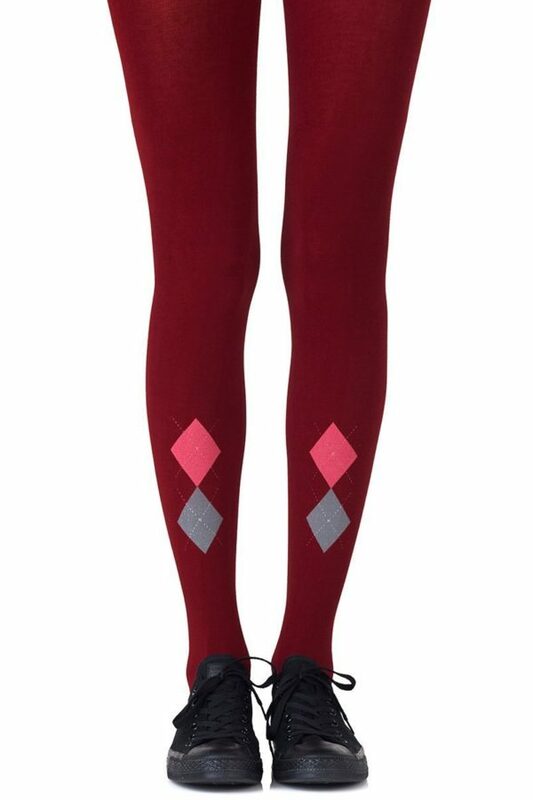 You choose with reversible tights where to place all the fun. Hand print, no two are the same.